We are a full-stack industrial and manufacturing marketing agency that plans, designs, executes, and measures integrated marketing strategies. Although we’ve worked with many types of companies and organizations, we have deep experience and a passion for marketing in the industrial and manufacturing sector. Our typical engagement is with small to mid-sized companies, but we also work with major corporations ranked in the Fortune 500. 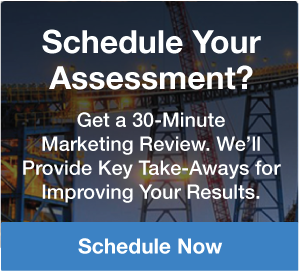 We exist to help industrials like you get the most marketing bang for the buck. Great products and word-of-mouth got you this far, but now buyers want more. They’re online shopping for better prices. They’re using LinkedIn for referrals. They’re looking online for content that can answer questions and solve their problems. Let’s not even mention the fact that some buyers were born in the 90’s. Yes, the 90’s! The rules have changed but the game remains the same – gain customer loyalty by proving you’re a trusted expert. You need to provide buyers with the information they need, when they need it, and where they go to look for it: search engines, websites, industrial directories, social media, and email. That means improving your product data, making your online catalog more user-friendly, and creating content that demonstrates your knowledge and expertise. We will help you transition from traditional to technology-based marketing.